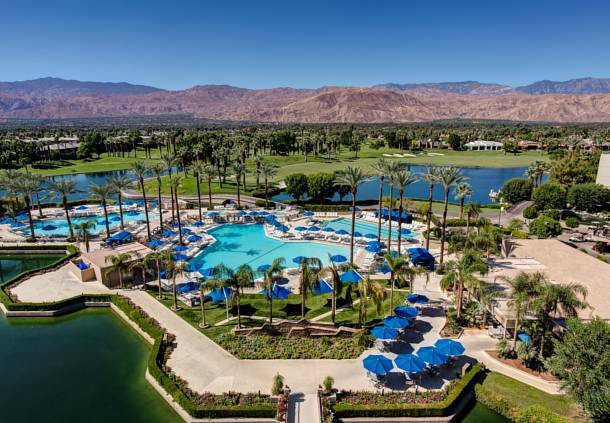 The pool at the JW Marriott in Dessert Springs is quite the scene. If you’re young, wild, and free and looking for a party in the desert, this is the place to be. Pretty views of the mountains; requisite palms standing sentinel and lots of oversized canvas umbrellas shading the unrelenting sun. What you don’t see in the photo but you do see when you’re there: pop music blaring over loudspeakers, cocktail servers hustling about with shot-glass filled trays, security guards standing by each entrance, checking room keys and giving off a “bouncer in a busy club” kind of vibe. If you’re staying at the JW and you’re looking for serenity, you’d better try the pool connected to the spa. Even on a busy day, the vibe is quite calm (web photo below). 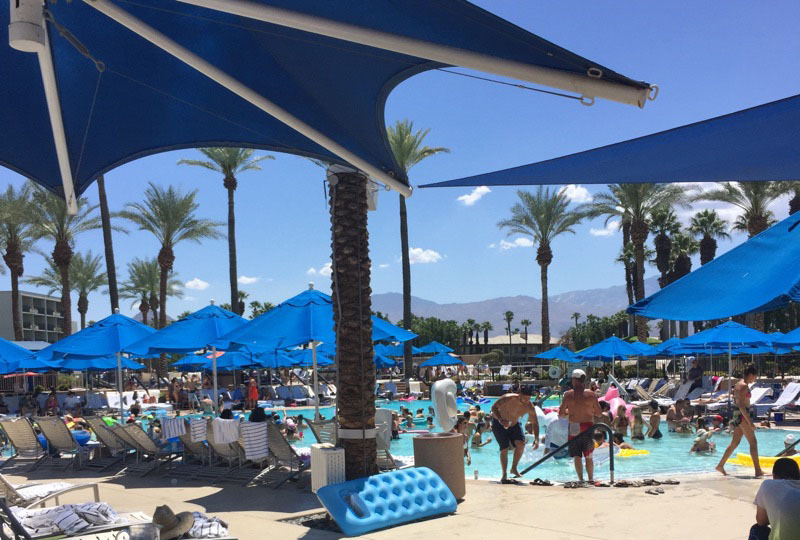 More hotel pools in the Palm Springs area.